This is the third book that I have finished for the Adoption Reading Challenge that Jenna is hosting at The Chronicles of Munchkinland. Be sure to follow the link through to read other people's book reviews. Reunion - A Year in Letters Between a Birthmother and the Daughter She Couldn't Keep. The book is a collection of letters between Katie, a 27 year old lesbian adoptee and Ellen, her birthmother. Each chapter is a letter which mostly alternate between the women, letting the reader see the development of their relationship from both sides. I first read this book just after I had found my own birthmother and we were starting the letter writing stage of our relationship. For me, at that time, it was a great source of comfort, as their story seemed to so closely mirror my own - I was the same age as Katie and I was a lesbian who had to come out to my birth mother. I also could relate to her emotions and fears from finding her birthmother and making that first connection. Unfortunately for me, that is pretty much where the similarities ended. While Katie and Ellen went on to form a close relationship, even friendship, my first letter from my own birthmother, Iris, pretty much said that she wanted nothing to do with me, could I please go away and not interfere with her life. Reunion is a great book that looks at the good, the bad and the hard parts of adoption reunion. Seeing it unfold for both women at the same time gives great insight into how 2 people can have completely opposite reactions to the same situation. From the adoptee side it really illustrates that even though the adoptee may have grown up thinking that they do not have any “issues” from being adopted, opening the door of reunion can bring a whole lot of unexpected emotions flooding through. I would strongly recommend this book for all members of the triad, but it is especially powerful for adoptees (and presumably birth parents) about to embark on reunion. Seeing someone go through the honeymoon stage, being hurt by misunderstood wording and coming around the other side to form a lifelong relationship gives hope that it could happen to you. No, we haven't adopted another kid without warning. And no, Liam is not yet in contact with "C" his older brother. 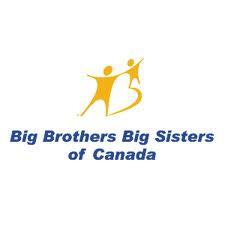 Liam has a Big Brother, "D" through the Big Brothers/Big Sisters Assoc. We originally applied to the program almost 2 years ago. There is such a need for volunteers, and so few volunteers that it can take a long time to get matched. We did have one potential match last fall but it fell through. So we were very excited to get the call a few weeks ago letting us know that he had been matched again. 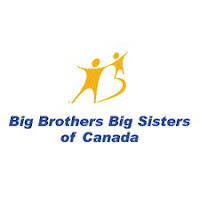 The initial meeting involved Hilary and I, the case worker from BBBS, "D" and of course Liam. We all hit it off really well. They did a great job in matching them up - sports, Star Wars, guitar and high energy - all things that we had hoped for in a Big Brother. We left the meet'n'greet with a plan for them to get together a few days later. They've only had that one get together so far, and it was the day after Liam spent 6 hours in the ER with a migraine, so it's a bit too early to tell how it's going. But "D" is going to come to Liam's school concert with us on Thursday. I think they are going to be great friends. It's hard to admit that as a parent you can't give/do everything for your child. As Lesbian's we went into parenthood with our eyes open, knowing that we would not be able to give our child the male-time that they might get with straight parents. Our families live far away, and our male friends have families and kids of their own. But we also knew that we were willing to do whatever we needed to make sure our child's needs were met. Just like getting Liam glasses or extra reading help, getting him a Big Brother is another option to help him have a well balanced life. I hope they form a great and long-lasting bond. Liam woke up with a headache on Friday and got progressively worse as the day went on. By Saturday morning he was SICK. We thought it was the flu - fever, aches and pains, headache. We ended up at the ER and after a very long day we left with a much better boy and a diagnosis of migraine. Hopefully this is a one time episode, possibly brought on by having a cold. We are going to start a headache diary just in case, so we can see if there are any triggers. Today at least, he is feeling much better. He did have another rough night, waking up at 4:00 crying with a headache. We dosed him with Ibuprofin and he fell back asleep till 9:00. This will be a birthday celebration day that will be remembered and talked about for quite some time. 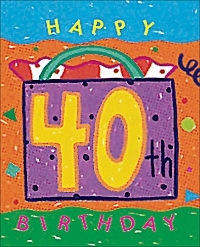 I'm not sure that Hilary is to enamoured with 40 just yet! Liam and I planned a great weekend for Hilary's birthday. Diners out, fancy deserts, hotels and pools and secret outings. Instead, this is what our weekend looks like so far. Liam woke up on Friday with a headache, but seemed better after some breakfast and went off to school. By 3:00 he was headach-y, fevered, coughing and stuffed up. We stayed in and ordered in a lovely Indian Feast for Hilary and I to celebrate her birthday instead of going out. He had a rough night, whimpering off and on and finally woke up at 5:00 this morning in complete tears. The aches and pains, headache and sensitivity to noise and light is just too much for him. The hotel reservation has been cancelled and I'm replanning our day. Circus school is out this morning, but I'm hoping to get someone to come sit with Liam for the afternoon while I take Hilary to the rest of her birthday surprise. Such is the birthday celebration of a parent! Liam started his first class at circus school today. He L.O.V.E.S! it. And he's a bit of a natural. Vegas here we come. They started out with acrobatics. Moved on to the Diablo. Took some turns on the tight-rope. And then Liam found his calling. The trapeze! This session runs for 8 weeks. If he's doing all this on day one, I can only imagine what he'll be up to by the end. After all the work yesterday Liam still had nits in his hair today. The colour and quantity of his hair makes in nearly impossible to find them all. So we went with phase 2! We've managed to avoid this one for the last 4.5 years of school. And we thought we had made it through this time too. Not to be however. His school has been suffering through an infestation this year that they just can't get rid of. Last week kids were walking in the front door and after a quick check being turned around and walked back out again. Each day brought 4-5 new cases. Even the teachers were getting it and being sent home. Carpets and padded chairs have all been removed from the classes and daily notices have come home. When Liam was observed to be scratching his head today he was sent to the front desk for a check. And nits were found. I got called to come pick him up. I had them check me too while I was there and I am nit free!! Now were are home with the washing machine humming away. Hilary has gone to get the required shampoo, comb and sustenance to get us through the day. And then the nit-picking can begin! Hilary's solution for not being able to find the stuffies Liam wants, or if we can find them but they are just too expensive? She MAKES them! I don't often do something just for me, especially if it involves spending money on something. I suspect that this is pretty comment among parents and partners. We have a need to put our family first. So it was a bit unusual that when I came across a great website while reading on Support for Special Needs, I bought myself a necklace without too much second thought. AJ's Collections was great to work with. They customized the small disc for me to represent my family - 2 women and a little boy. Their prices are incredible and their turn around time is fast. If you need a gift or just something nice for yourself, be sure to check them out. When I first came out as a Lesbian way back when, I bought myself a charm that was the 2 women symbols. I wore that necklace 24x7 for nearly 20 years. The only time I took it off was the summer I worked in scary straight bars. I figured it was dangerous enough just being there, I didn't need to announce the fact that I was a Lesbian. Then last year my Mom bought me a beautiful pewter locket, shaped like a shell. It came with a longer chain, so I added my Lesbian charm to it and wore them together. Until I got some mysterious sores on my neck from either the bed sheets, the necklace or both. I had to stop wearing the locket and charm until that healed. And so I put it somewhere safe. And have not been able to find it since. I have pulled the house apart; looked in pockets of old coats and purses, under things, in things and behind things. It's not to be found. Even when I had my original necklace, I had been thinking of ways to add on the boy symbol to show that my family now included Liam. After losing it I considered getting a tattoo since I couldn't find another necklace that I liked. I may still one day get the tattoo, but for now I LOVE my new necklace! Have you heard of the Band Back Together? No? Be sure to go check them out. It's an awesome site that is a safe place to share your stories and feel love and unconditional support when you most need it. They recognize that many people don't do enough nice things for themselves, so they are encouraging everyone this week to go out and do something nice just for themself. I hope you do something nice for you to. You deserve it! We like to mix things up when we do homework. After all, I don't want to be doing Math sheets every night, so I doubt Liam wants to either! We've done fun things with homework before and here is our newest idea. Liam is studying money in Math class. So to make homework a bit more fun, I made up a game, loosely based on some of the games they play on Survivor. I filled 20 little bowls with a variety of things. Most were chocolate chips (varying from 1 chip to a small bunch), some had a candy and some had booby-prizes like an uncooked penne noodle, spicy chili or cat treats! Each bowl was covered and given a price. Liam then had to "buy" the bowls by giving me the exact change. We has a lot of fun! He managed to avoid most of the booby-prizes till near the very end. He declined trying the chili and shared the cat treats with Buster. What do you do to make homework fun? Hilary made a steamed custard inside a squash for our Thai desert on Oscar night. Unfortunately the custard took longer to cook then the squash, so it started to crack and fall apart, but the whole thing was yummy. She topped it with slices of young coconut to give it a bit of extra sweetness.